There are multiple situations where a VPN server can come in handy. For example: you’re in a hotel and want to be sure nobody is sniffing your packets. 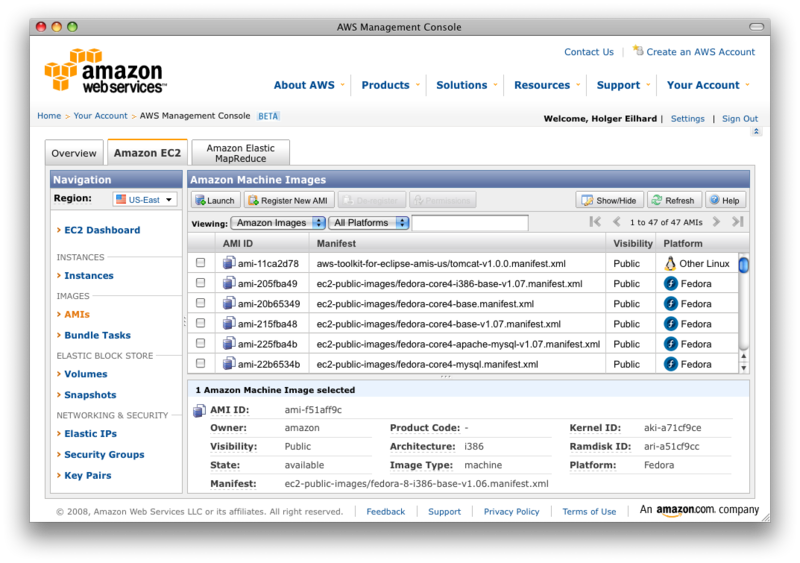 Amazon has given us a great base system to build on: the Elastic Compute Cloud, or just EC2. I set up a server for another basic need: free speech. I hope this small howto, that in no way is meant to be complete or fool proof, will give those in need a way to get the news out! You can find the Getting Started Guide for Amazon’s EC2 over here. There’s also a web-based administration console if you don’t want to use the command line tools. 16:00:59.049763 IP he-in-f147.google.com.http > domU-12-31-39-04-51-13.compute-1.internal.exbit-escp: . ack 499 win 6432</mss> At this point you’re basically golden and have a working VPN. 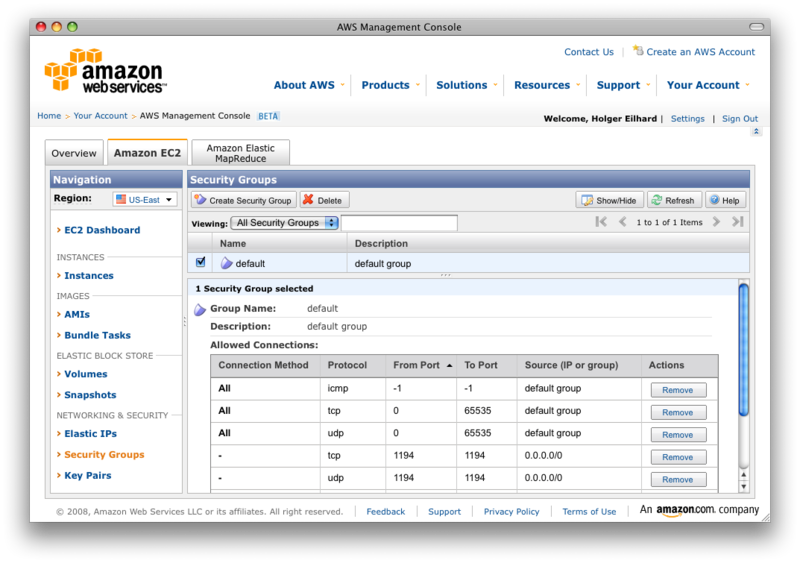 One more thing (okay, actually two) Now, two things that might happen to you is that you a) don’t want to change your client config to match the remote hostname which usually changes when you terminate (shutdown) your EC2 instance and b) don’t want to make all these changes between termating your instances. chkconfig inadyn on The configuration is found in /etc/inadyn.conf. It’s pretty much self-describing. Enter your credentials that you used at dyndns and enter your chosen hostname and finally start the service: service inadyn start Within a matter of seconds you should be able to access your host via the dynamic DNS hostname. Point b) requires a bit more work. 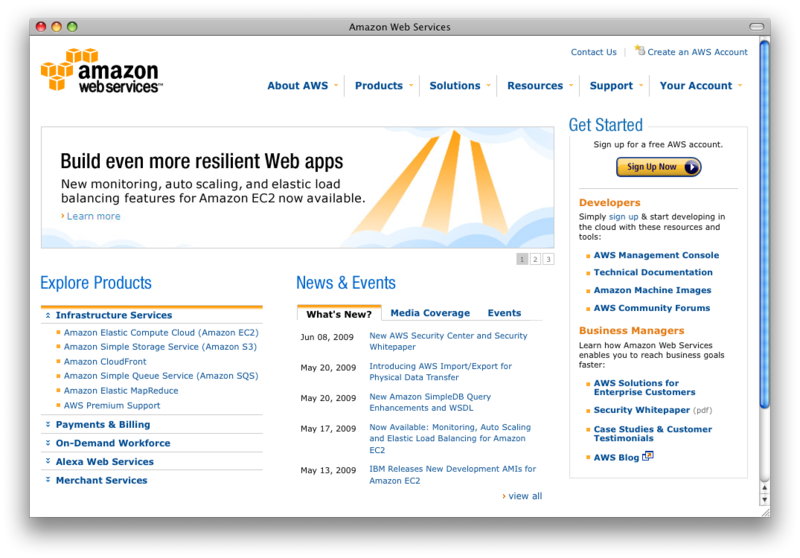 Remember that once you terminate an EC2 instance you will lose any changes that you’ve made to it. So you’ll want to create your own AMI. How you do that is described in Amazon’s Getting Started Guide. 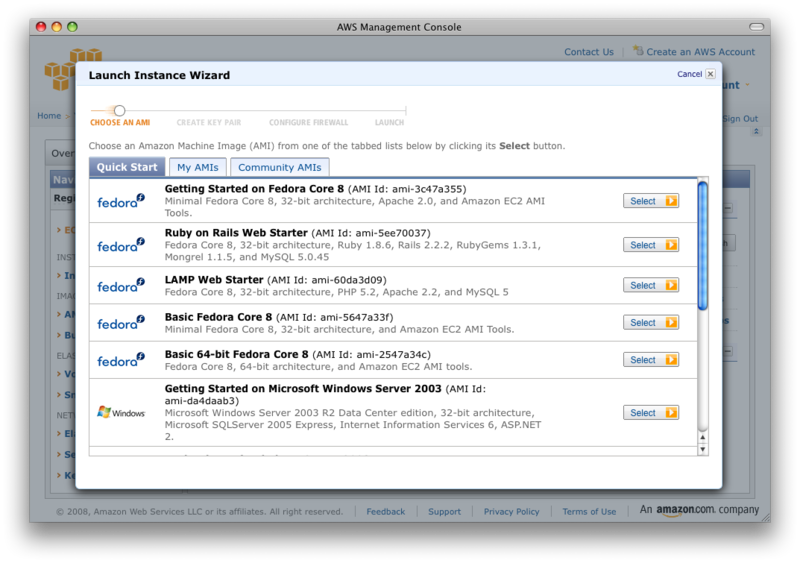 Create your instance only after you are sure to have a working setup. When you’re done with these steps, you have a openvpn server that you can boot whenever you need it. Remember that a running instance will cost you at least 0.10 USD per hour, even if it’s doing nothing! Make sure you terminate it when you do not need it. I’m sure this guide is incomplete and the VPN setup can be optimized but I wrote it basically within 30 minutes. If you find anything wrong that shouldn’t be in here let me know in the comments. Thanks!